The only thing different is you are going balls-to-the-wall as hard and fast as you can, followed by slightly longer slower pace, or rest, in between your explosive bursts. What a workout! Let’s talk about sprints. SimplyShredded.com has a pretty sweet article called Crank It Up: Sprinting Towards Single Digit Body Fat Percentages With High Intensity Training. In this article, they decide to utilize sprints as their go-to exercise for losing unwanted body fat by utilizing the HIIT protocol. Well, with sprints, there’s no other protocol besides HIIT, because they are, well… SPRINTS! Sprints may well be the very best HIIT exercise, as they are one of the only exercises that are high intensity by nature. 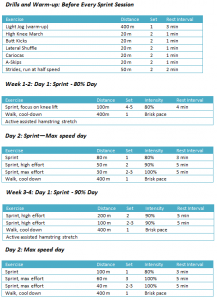 The relationship between sprinting and a rock-solid physique …. So, why sprints? Well, sprints are probably the best way to increase an athlete’s performance. But why?! That’s why! And sprints give us this attribute in a very precise and phenomenal way! It’s no secret that high levels of strength and agility are needed in today’s sports. Same thing for casual athletes and gym rats alike. The less fat you have and the more strength you have, the better athlete you are. And let’s face it – sprints build athletes! The only athletes that should perform low intensity cardio such as jogging are distance runners, tri-athletes, or someone needing to lose muscle tissue. Yes, you read right, unless your goal is to have LESS lean muscle mass, the hamster wheel approach to energy system work is not for you. A little more clear now? Of course it is. Pat yourselves on the back! What’s so special about sprinters’ bodies anyways? Oh c’mon peeps! We all know damn well a sprinters body is a monument to physical perfection! Pound for pound, sprinters are some of the leanest and strongest athletes on the planet. They possess the perfect storm of fast-twitch dominance, exceptional reaction time, great work capacity, and a favorable endocrine profile. Physically, they look pretty damn good too. Now you may suspect that a sprinter’s physical characteristics are all a product of awesome genetics, but that’s only one aspect of the resultant physical outcome. Yes, a certain body type is preferential for success in sprinting, but training, lifestyle, and diet all have a big impact on the expression of physical qualities. We couldn’t put it more eloquently if we tried, and we are known for being pretty damn eloquent, so Gone Liftin’ concedes! If you haven’t guessed it – we LOVE sprinting. We love everything about it. We love 100m sprints – we love 200m sprints – we love 800m sprints. We love sprinting til we vomit (true story, bro). Sprinting is one of the very best exercises you can do for strength, speed, fast twitch dominance, lowering body fat, and increasing athletic performance in virtually all athletic activities / sports. 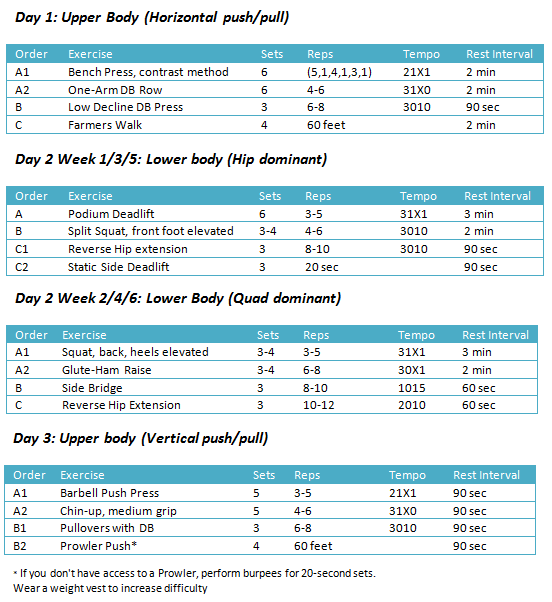 Sprint training is nothing short of awesome for body composition and athletic ability! 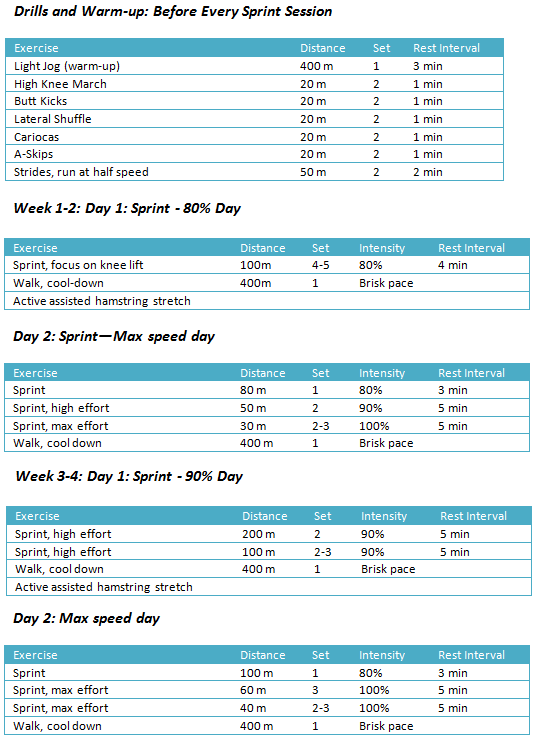 We can’t recommend sprints enough! There are various methods for the HIIT protocol, obviously, but sprints should not be overlooked. 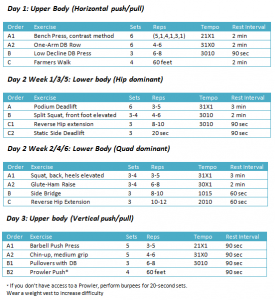 For even more information and some additional components, make sure and go over to this article from SimplyShredded.com and get yourselves as acquainted as possible… and then GO SPRINT!! !